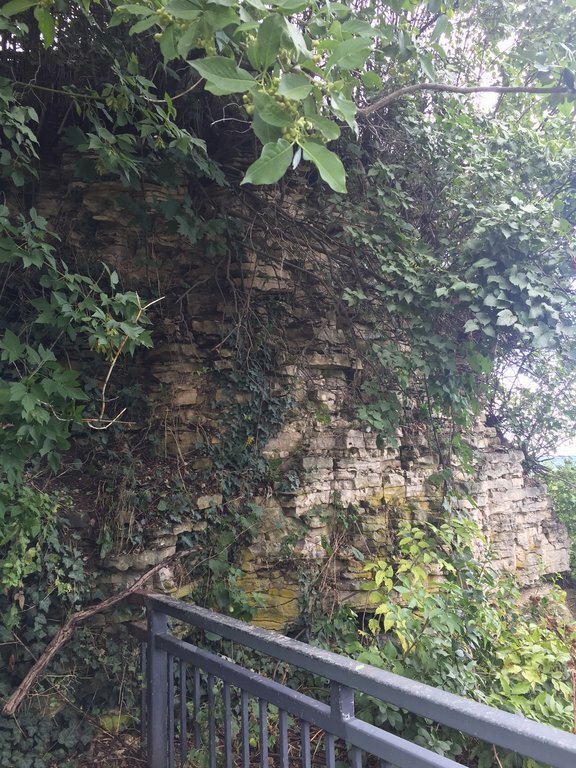 Here are some pictures of the exposures at the park. 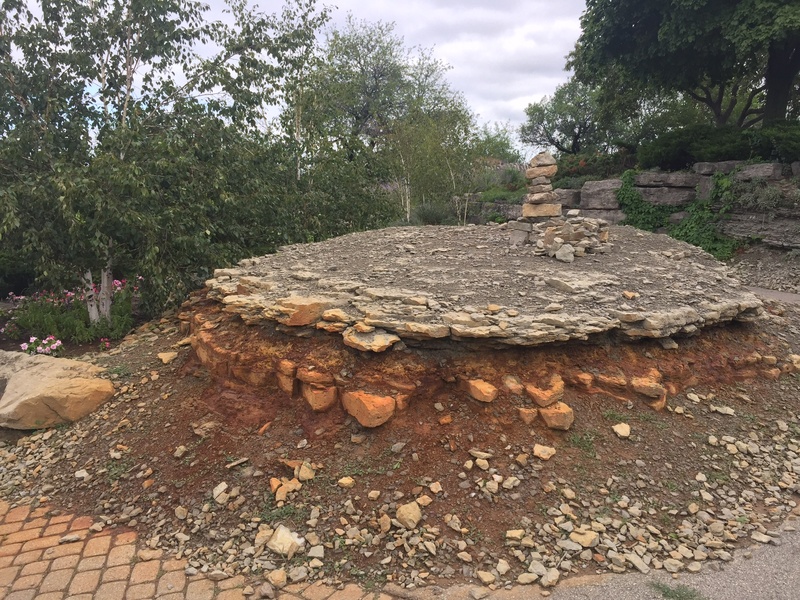 The city decided to make rock gardens out of the exposed formations which is charming in warmer weather. I believe these exposures show the Reynales formation all the way to the Lockport formation of the Niagara Escarpment of Hamilton, Ontario. I managed to check out the rocks but, Im puzzled as to which formation these can belong to. 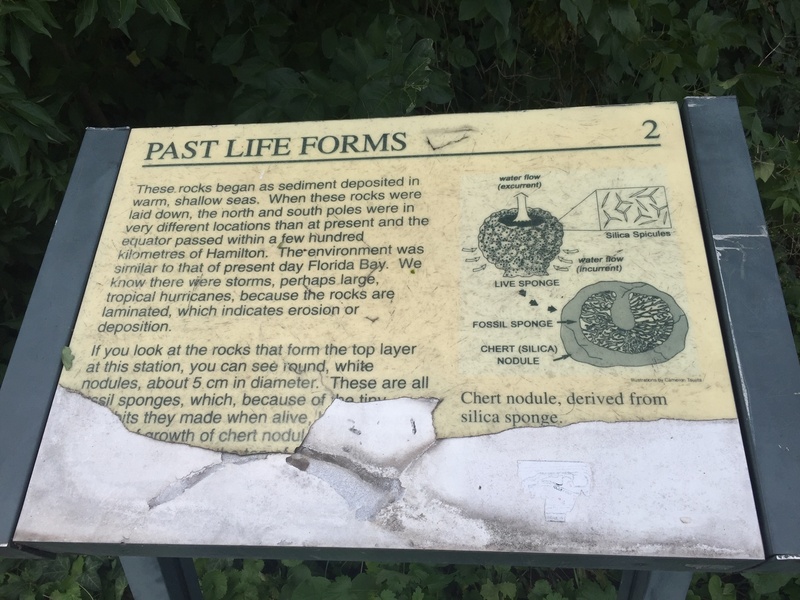 There are some rock exposures that even have information stands on them explaining the fossils that can be found. Here’s an example albeit a worn out one. It’s nice the city pays attention to its geological significance. The exposure below is probably the Lockport formation and the stand also explains the “sponges” that can be found there. I might inspect this exposure again for its “sponges”. I cant wait to come back to this location when the weather warms again. This trip I made on this post did not yield any fossils I took home. Only time will tell if I find something interesting I’ll keep. Have you ever tried the creeks that feed into the lake, or further west, that feed into the river? I lived in NF, NY for a few years and there were good exposures and well preserved fossils at these type locations. That sign has seen better days. Vandals? Nice pics, anyway... Can't wait to see the fossils. 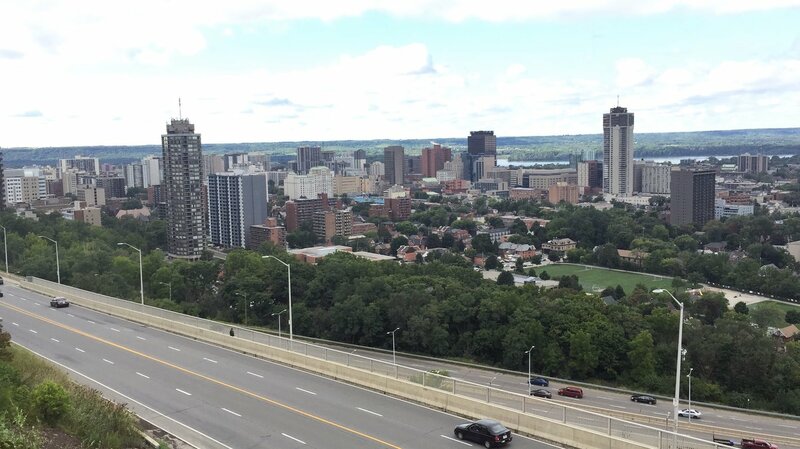 Hmm, in Hamilton, Ontario all the creeks that feed to Lake Ontario whose bodies flow below the Niagara Escarpment expose the Queenston formation which unfortunately is unfossiliferous. I have yet to go further west of Hamilton, Ontario. I’m not sure what the geology of Brantford, Ontario and London, Ontario is like. It's nice to see you out again looking for fossils - hopefully you'll find some great specimens this spring/summer!!! The red staining makes me think this is classic Queenston Fm (or at least looks identical to what you might see along the Red River Valley Pkwy - or is that the Alexander at that point?). I’m not sure what the geology of Brantford, Ontario and London, Ontario is like. As someone who lives in London, you need only ask! London and area is mostly dominated by the Dundee Fm, with stretches of Hamilton Group (Arkona, Widder, Kettle Point Fms) as you head northwest into Lambton County. 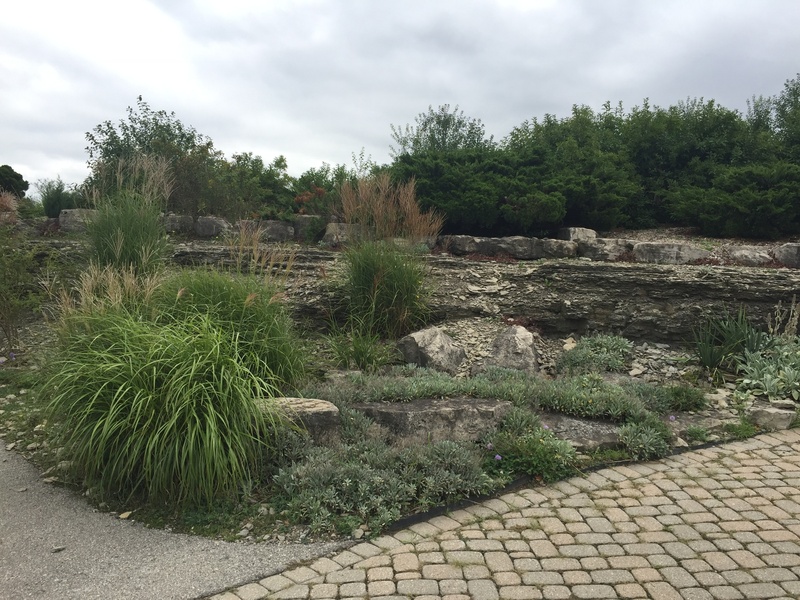 Brantford has some Salina Fm, but the "telephone city" is not really a fossil destination. The "salts" extend northwest to Goderich where the Sifton mine is. Much of the "west coast" of Ontario proceeding south from Goderich is also Dundee. Heading east from there has some pockets of Formosa reef exposures. At Lake Huron west of the Pinery are some exposures of Kettle Point. There are no natural exposures of the Dundee in London, but it is exposed in some quarries (such as up in St Marys). The area is relatively flat and buried under glacial till. 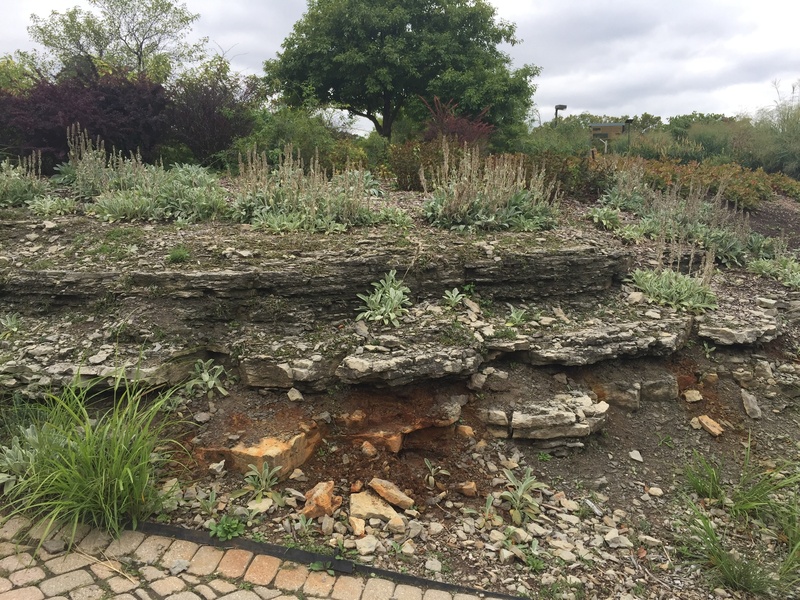 The main river (Thames) doesn't cut quite deep enough to expose much, so what is found is mostly transported float with some heavily weathered Dundee limestone, mostly containing brachs and corals.